England captain Andrew Strauss described his team's crushing innings victory over South Africa on Wednesday as one of the best away wins he had experienced. Off-spinner Graeme Swann and paceman Stuart Broad bowled South Africa out for 133 to complete an innings and 98-run win and give England a 1-0 lead in the four-match series. 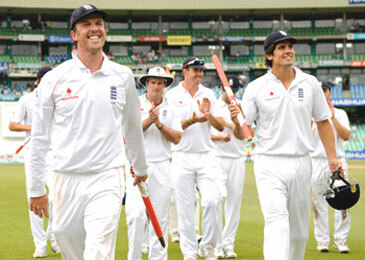 "It's as emphatic a win away from home as we've had since I've been involved," Strauss said. "Pretty much everything we wanted to do, we did. They never got away from us, we hit them hard early with both bat and ball, and then put the runs on the board to have them under pressure. "It's a case of keeping things simple and doing the hard work and we've come a long way in the last 12 months. It's great to end the year on a real high." Strauss inherited the captaincy after the relationship between former coach Peter Moores and previous skipper Kevin Pietersen broke down. He said the team's current success showed that relationships within the team had now been mended. "We've embraced the change and enjoyed each other's success. 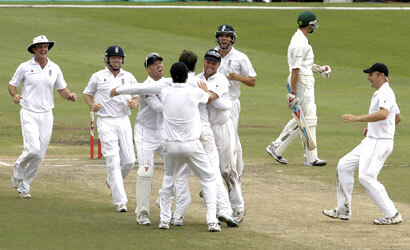 We've achieved because we stick together in the tough times," Strauss said. Strauss said Graeme Swann, who claimed five for 54 in South Africa's second innings and 9-164 for the match, had been a key figure in England's resurgence this year. "Graeme has had a massive impact over the last 12 months. He's always been a very attacking spinner, he gives it a rip and bowls an attacking line, and, with the extra pressure of test cricket, that can be invaluable," he said. "Off the field too, he lightens the mood, he keeps guys going when they are down and he has made a big difference to the team." 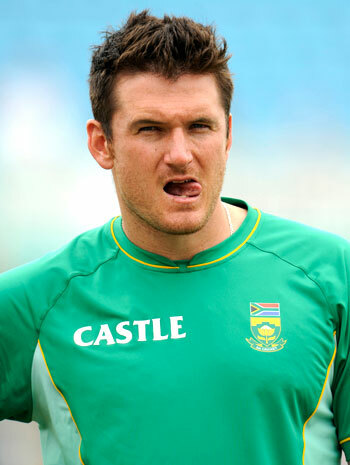 South Africa will not be panicked into making sweeping changes after their innings defeat to England on Wednesday, captain Graeme Smith said. "It's clear in our heads what we need to look at, those areas in which we are not up to standard. It's obviously been a disappointing year and we have not lived up to the hype of 2008," Smith told a news conference. "We reached a certain point, but we haven't been able to take it to the next level. We need to look at why we haven't done that, we need to reassess and make 2010 a better year. "But it's important to take the emotion out of the decision making. We've now got a crucial test coming up in Cape Town and we need to make the right decisions to win that game. "It's important to have a wakeup call, we were outplayed and it just wasn't good enough, but it was one collapse and, as disappointing as it is, I'm not a big believer in calling for mass changes."